Face Recognition, Image Classification, Image Enhancement... Isyour smartphone capable of running the latest Deep Neural Networksto perform these AI-based tasks? Does it have a dedicated AI Chip?Is it fast enough? Run AI Benchmark to comprehensively evaluateit's AI Performance! Current phone ranking:http://ai-benchmark.com/ranking.html AI Benchmark measures thespeed, accuracy and memory requirements for several key AI andComputer Vision algorithms. 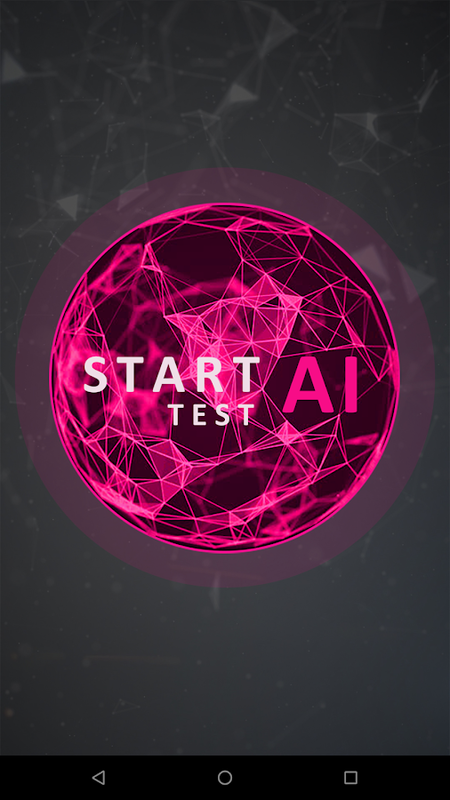 Among the tested solutions are ImageClassification and Face Recognition methods, Neural Networks usedfor Image Super-Resolution and Photo Enhancement, AI models playingAtari Games and performing Bokeh Simulation, as well as algorithmsused in autonomous driving systems. Visualization of thealgorithms’ output allows to assess their results graphically andto get to know the current state-of-the-art in various AI fields.In total, AI Benchmark consists of 21 tests and 11 sectionsprovided below: Section 1. Classification, MobileNet-V2 Section 2.Classification, Inception-V3 Section 3. Face Recognition,Inception-ResNet-V1 Section 4. Playing Atari Games, LSTM Section 5.Deblurring, SRCNN Section 6. Super-Resolution, VGG19 Section 7.Super-Resolution, SRGAN Section 8. Bokeh Simulation, U-Net Section9. Semantic Segmentation, ICNet Section 10. Image Enhancement, DPEDResNet Section 11. Memory limits, SRCNN A detailed description ofthe tests can be found here: http://ai-benchmark.com/tests.htmlNote: Hardware acceleration is supported on Android 9.0 and aboveon all mobile SoCs with AI accelerators, including QualcommSnapdragon, HiSilicon Kirin, Samsung Exynos and MediaTek Helio. 3DMark is a popular benchmarking app that helps you test andcompare the performance of your smartphone and tablet. 3DMarkbenchmarks the GPU and CPU performance of your device. At the endof the test, you get a score, which you can use to compare models.But 3DMark also gives you so much more. More than a score 3DMark isdesigned around data-driven stories that help you learn more aboutyour smartphone and tablet. With its unique charts, lists, andrankings, 3DMark gives you unrivaled insights into the performanceof your device. See how your best scores compare with others fromthe same model. Learn how the performance of your device haschanged with each Android OS update. Compare your device withpopular models and see if it's time for an upgrade. Discover thedevices that deliver the best performance without overheating orslowing down. Best benchmark for your device Every year, we add newbenchmark tests to 3DMark. When you open the app, 3DMark willrecommend the best benchmark for your device. To save storage spaceand minimize download times, you can choose which tests you want toinstall. Choose Sling Shot Extreme to compare flagship Androiddevices from HTC, LG, OnePlus, Samsung, Sony, Xiaomi, and othermanufacturers with the latest iPhone and iPad models. Now includesVulkan and OpenGL ES 3.1 tests. Sling Shot is a benchmark forcomparing mainstream Android devices with popular iPhone and iPadmodels. Use Ice Storm Extreme to compare low cost Androidsmartphones and tablets with older iPhone and iPad models. Orcompare basic Android and iOS devices with Ice Storm. The APIOverhead feature test is a special test for comparing theperformance of Vulkan and OpenGL ES 3.0 graphics APIs on yourdevice. Choose your next phone the easy way With performance datafor almost 5,000 devices, it is easy to find and compare the bestsmartphones and tablets with 3DMark. You can search, filter, andsort to compare the latest Android and iOS devices. Betterbenchmarking starts here. Millions of people, hundreds of reviewsites and many of the world's leading technology companies use3DMark to test and compare the performance of smartphones andtablets. 3DMark is a free app. There are no ads or in-apppurchases. Download it today and join millions of people who choose3DMark for accurate and impartial benchmark results. *** IMPORTANT - If your SD card is not detected, please send usyour model and SD card location, before giving a rating. We can nottest this app on all devices ***Use A1 SD Bench - free tool tobenchmark your phone & tablet SD card, RAM and memory, to testIO read / write speed (Quick, Long, Random I/O and Accurate) andcheck media performance, and compare your benchmark resultsonline.Features:★ Free★ Four benchmark modes - Quick, Longer,Accurate and Random I/O★ Built-in compare results online(anonymous)★ Built-in view statistics online★ SD card speed test,or multiple SD cards★ Speed test any Android storage including RAMand USB★ Nice looking, clean, fast, responsive & intuitive UI(User Interface)★ Measure both read and write speeds to find outhow fast is your SD card★ Quick and Accurate benchmark (to reducecaching effects)★ Check your speed-test results with other devices★Speed categories: Class 2, Class 4, Class 6, Class 10, UHS-I,UHS-II and UHS-III★ Custom location option to test any devicedirectory★ Shows total and free memory for all media includingRAMSupported devices:• Internal memory• Internal SD cards• ExternalSD cards• System RAM (Random access memory)• USB flash drive(including, NAND flash, USB 1.0, USB 2.0, USB 3.0)• Up to 6 USBflash drives (connected simultaneously via USB hub)• USB HDD (Harddrives)Supported memory cards:• SD Cards• Micro SD• Micro SDHC•Micro SDXC• Phone's built-in memory (card)Notes:• Problem? Please,send us your feedback using Send Feedback feature from the Settingsscreen, or http://a1dev.com/feedback/• We can not test all Androiddevices, so if your device's memory / SD card / USB is not detectedcorrectly, use Send Feedback feature from the Settings screen,specifying path to your storage, e.g. /mnt/sdcard/,/mnt/usb_drive;• NTFS and other non-native file systems issupported as far as your Android device is compatible with a suchFS.• Your device needs enough free (100 MB and up, depending onmedia speed, and up to few GB if using longer test option) spacefor benchmarks to work;• More: http://a1dev.com/sd-bench/notes/Moreinfo on permissions:• "Storage" & "Media" is used to benchmarkyour device storage, SD cards and USB attached drives.• "Internet"is used to access and submit online scores and for anonymous usagestatistics (both can be enabled and disabled). AndroBench is a benchmark application which measures the storageperformance of your Android devices. AndroBench provides two kindsof benchmarks: Micro and SQLite. With the Micro benchmark, you canquickly compare the base performance of your storage device withthose of other devices. The SQLite benchmark tests the performanceof insert, update, and delete queries on a database table thatmimics the one used in a messaging app. To obtain correct results,please minimize background activities while you run AndroBench.AndroBench is available for free and without any advertisement, andthus feel free to use it. Antutu 3D Benchmark Why do you need to download a separate 3DBenchApp? -- The separate 3DBench app is to avoid re-downloading 3D partwhen version updated. Save your mobile data! -- To test the 64 bitCPU and UX performance we need a separate 3DBench app Antutu3DBench v7 includes three test scenes, the OpenGL3.0-basedMarooned, the OpenGL3.1-based Coastline and the OpenGL3.1+AEP-basedRefinery which measures the performance limits of mobile devices.The benchmark automatically detects the API level supported by yourdevice and runs the relevant 3D tests. The benchmark results of the3D tests in Antutu 3DBench v7 are based on Offscreen performance,which can more fairly reflect real-world gaming performance ofmobile devices. UPDATE ANDROID NOUGAT: DiscoMark unfortunately does not workproperly anymore under Android 7. The Accessibility Events that weuse to determine launch times do not correlate anymore with theactual launch times as reported through, e.g., ADB. We will notprevent users with Android 7 from downloading DiscoMark, since itcan still be used to automatically launch apps. This can be usefulfor, e.g., recording a video of the screen and then analysing theapp-launch times like that. We are working on different ways ofmeasuring real-world performance, mainly for professional testers.Periodically check on www.disco.ethz.ch for information, or send ane-mail to [email protected] if you want to knowmore.DESCRIPTION:DiscoMark tests your phone's performance based onthe launch-times of your applications. Instead of artificialcomputations that result in numbers that are hard to interpret,DiscoMark tells you how long it takes to start your Apps. This is aperformance metric that reflects the real-world performance of yourphone. It is also a highly variable metric, that depends on manyfactors, such as number of installed applications, backgroundprocesses, time since last restart, etc. Therefore, DiscoMark canhelp you identify performance bottlenecks, e.g., it helps youdetermine the effect of different measures, such as, clearing allrunning apps and restarting your phone. Just perform the same testbefore and after the measure, and then compare the results. No moreguessing! Furthermore, DiscoMark compares your results to those ofother users, and thus lets you determine how your phone compares.Another usage example: Pick some Apps and run the benchmark. Then,clear all your background Apps using your phones ApplicationManager and test again. Then, restart your phone and perform thelast test. Now you can compare the results and figure out whatimproves the performance of your phone the most!DiscoMark is anapplication that is being developed at the Distributed ComputingGroup at ETH Zurich. In order to provide value for the user, and togather data for our research, we log data about your device, and ofcourse the benchmark results. We do not gather any personal data,and we only identify devices via an irreversible hash, generatedform non-personal information. Find out how fast your Android device is with Geekbench 4, thelatest version of the popular cross-platform benchmark. Geekbench 4includes updated CPU tests that model real-world tasks andapplications. These tests are designed to quickly and accuratelymeasure mobile CPU performance. Every Geekbench 4 CPU test ismulti-core aware, allowing Geekbench 4 to measure the fullpotential of your device's CPU. Geekbench 4 also includes new GPUCompute tests that measure the processing power of your device’sGPU. Benchmark the performance and battery life of your smartphone andtablet with PCMark for Android. See how well your device performs,then compare it with the latest models. Work 2.0 benchmarkSee howyour device handles common productivity tasks - browsing the web,editing videos, working with documents and data, and editingphotos. Use Work 2.0 to measure the performance and battery life ofyour device with tests based on real applications. Or run theoriginal Work test to compare your device with oldermodels.Computer Vision benchmarkComputer Vision is an excitingfield with opportunities for a range of innovative mobile apps.This benchmark uses popular open-source libraries to test theperformance of your device for image recognition, graphical barcodescanning, and optical character recognition tasks. StoragebenchmarkSlow storage speed in a device can cause annoying lag andstutters in everyday use. This benchmark tests the performance ofyour device's internal storage, external storage, and databaseoperations. You get detailed results for each part of the test aswell as an overall score to compare with other Android devices.Compare devicesCompare the performance, popularity, and batterylife of the latest smartphones and tablets with the Best Deviceslist. Tap any device to see a side-by-side comparison with your owndevice, or search for a specific model, brand, CPU, GPU or SoC. Youcan even filter the scores by Android version number to see how OSupdates affect the rankings.The experts' choice"PCMark is actuallya solid example of mobile benchmarking done right. "Alex Voica,Senior Marketing Specialist at Imagination Technologies"tends totest every aspect of a mobile device, unlike microbenchmarks thatcan often miss aspects of the system that can affectperformance. "Ganesh TS, Senior Editor at AnandTech"Battery life isgenerally difficult to quantify due to the huge variation inpotential workloads...The best test we have for this is PCMark,which performs a few common tasks instead of purely syntheticloops." Matt Humrick, Staff Editor at Tom's HardwareChoose yourtestsAfter you download the app, you choose which benchmarks youwant to install. You can add and remove tests as needed withoutlosing your saved scores. Work 2.0 benchmark - 200 MBComputerVision benchmark - 70 MB Storage benchmark - 100 MB Work benchmark- 400 MBMinimum RequirementsOS: Android 5.0 or laterMemory: 1 GB(1024 MB)Graphics: OpenGL ES 2.0 compatibleAccurate andimpartialPCMark for Android technicalguide:https://benchmarks.ul.com/support/user-guidesUL benchmarkrules:https://benchmarks.ul.com/support/benchmark-rulesThisbenchmark app is for non-commercial use only• Business users shouldcontact [email protected] for licensing. • Members of thepress please contact [email protected] .